Many times we hear the title Apostle thrown around in Church and we might not necessarily know what it means. Some people will say that 11 of the disciples (11, not 12, because Judas the Iscariot had hung himself) became Apostles because they saw the Risen Lord Jesus, but this is just plain nonsense. It comes from the Greek word “Αποστολος” meaning the one who is sent (“απο” meaning from, “στελλω” meaning I send). In the “Great Commission” as it is called (Matthew 28:19-20), Jesus after having risen from the dead says, “Go therefore and make disciples of all nations, baptizing them in the name of the Father and the Son and of the Holy Spirit, teaching them to observe all things that I have commanded you; and lo, I am with you always, even to the end of the Age.” These are the last words of Christ to the disciples in the book of Matthew. 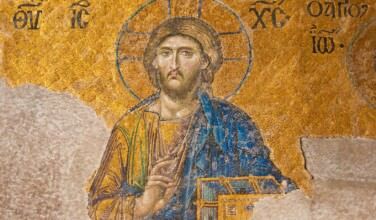 So Christ is the One who sends the apostles. In the creed we say that we are “One, Holy, Catholic and Apostolic Church.” Apostolic means that we not only follow the teachings of the original apostles, but are their continuation. It is surprising sometimes that our Protestant brethren might see the Church as something forgotten for centuries, but the apostles established people as their successors when they established a Church somewhere. 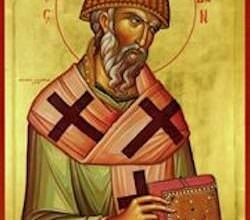 For example, the Ecumenical Patriarchate of Constantinople can trace its apostolic succession all the way back to St. Andrew the Apostle, who established St. Stachys as the bishop of Byzantium in 38AD. Many others are called apostles, not just the 11 disciples. The Apostle Matthias was elected to replace Judas in the 12. St. Paul also called himself an apostle and we agree because he was sent out to preach the Gospel. 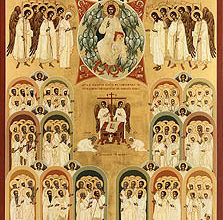 There are the 70 apostles too, well known of these 70 are: James the Brother of the Lord, Silas, Timothy, Stephen, Philip, Mark the Evangelist, and Luke the Evangelist. The person who establishes a Church somewhere is sometimes called an apostle. St. Innocent of Alaska is called the Apostle to America. 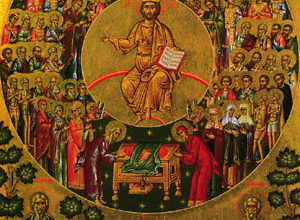 And there are also those called Equal-to-the-Apostles including Saints Nina, Cyril, Methodios, Constantine, Helen, Olga of Kiev, Vladimir, Mary Magdalene, Cosmas of Aetolia, Thekla, Abercius, Patrick, Photini, Boris of Bulgaria, Stephen of Hungary, Sava of Serbia and Nicholas of Japan. This title is used for those saints who were great missionaries and/or asserters of Christianity. There are also those known as Apostolic Fathers, which are the Church Fathers who are thought to have personal contact with the original apostles. This group includes St. Clement of Rome, St. Ignatios of Antioch and St. Polycarp of Smyrna. They received these titles in the 17th Century, well after they had fallen asleep in the Lord. 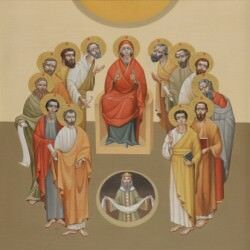 These Apostolic Fathers, who were found in the late 1st century and early 2nd century, were the second wave of influential Church leaders after the original apostles, St. Paul and others. These Apostolic Fathers were extremely important for the creation of the idea of apostolic tradition.